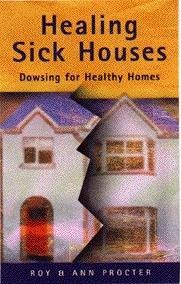 Our Book "Healing Sick Houses, Dowsing for Healthy Homes"
Published by Gateway, an imprint of Gill & Macmillan. The Book is an account of the various background events, developments and examples as we progress in our healing work. 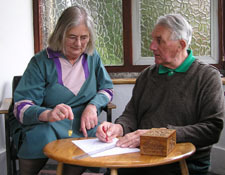 It includes a number of stories from clients, a dowsing lesson, material on dealing with 'presences', the importance of protection, and some details of our research project. Plus a good bibliography. Coombe Quarry, Keinton Mandeville, Somerton, Somerset. TA11 6DQ.